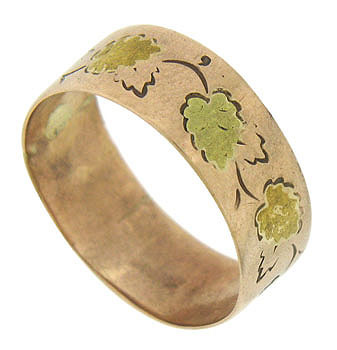 This handsome 10K rose gold wedding band is decorated with a string of deeply engraved twisting leaves. 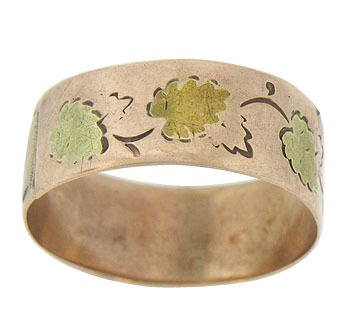 The dancing leaves are frosted in alternating green and yellow gold. The Civil War era wedding ring measures 6.54 mm in width. Circa: 1880. Size 6 1/4. We cannot re-size.